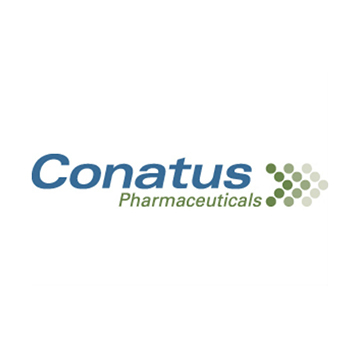 Roth Capital Partners downgraded Conatus Pharmaceuticals (NASDAQ:CNAT) to “neutral” with a price target of $1.70 after the company’s ENCORE-NF trial failed to meet its primary endpoint of an improvement of fibrosis without worsening NASH. The stock closed at $1.20 on March 25. The ENCORE-NF Phase 2b trial was a 72-week study in 318 stage F1-F3 patients with the company’s emricasan drug candidate. “Given that this follows failures of POLT-HCV and ENCORE-PH, we see a lower probability of success of emricasan in the upcoming readouts of ENCORE-LF and extension phase of ENCORE-PH, especially given the disease severity in these trials,” writes analyst Yasmeen Rahimi. Top-line results of the ENCORE-LF and extension phase of ENCORE-PH trials are expected in mid-2019. “Though we previously recognized Conatus was going after the most severe NASH patients in the landscape and the inherent difficulty in doing so, we believe the totality of the data and the most recent failure in ENCORE-NF make uncertain the efficacy of emricasan,” she added.